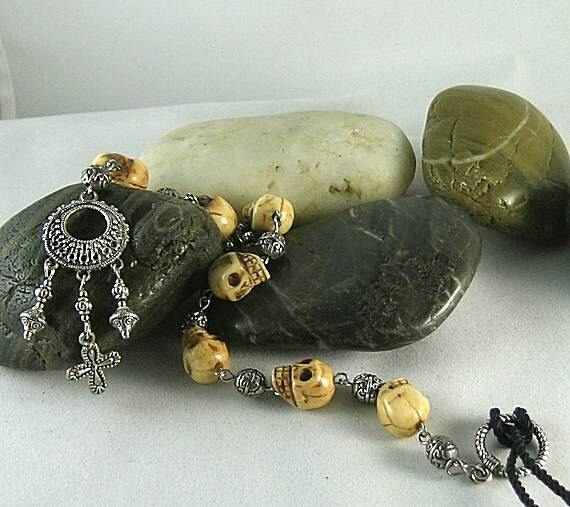 This chaplet design was inspired by one of the extant skull rosary from the New World. Found in South America and believed to be of Spanish origin, the original dates to the early 16th century before rosaries were standardized. 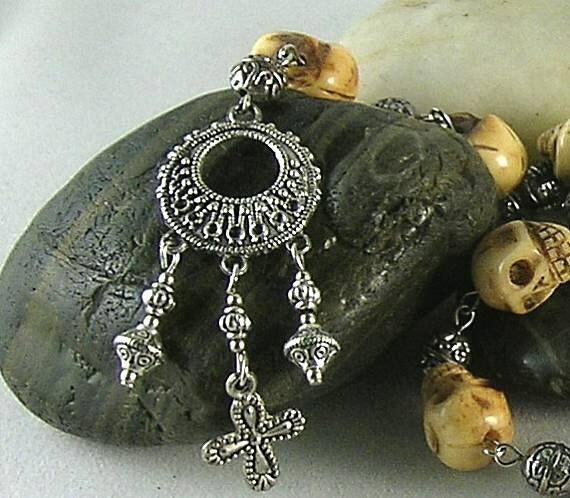 It is made of wood skull beads that hinge to reveal religious scenes. The original has the same number of beads and other components as our reproduction. This a perfect example of prayer beads where the "Our Father" and "Hail Mary" were recited in an alternating sequence. 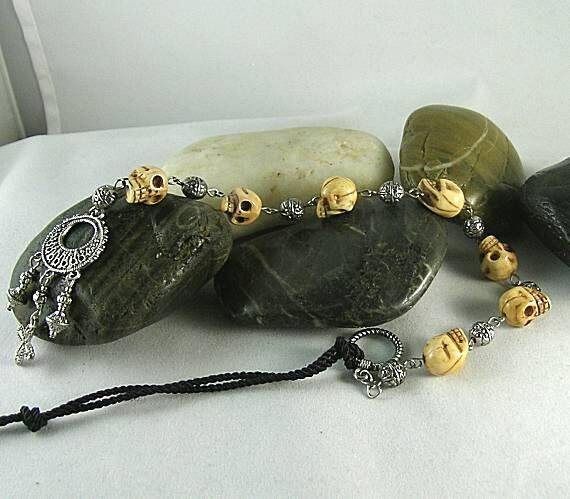 There may have been more skull beads originally but the extant one only has seven so our version also has seven. 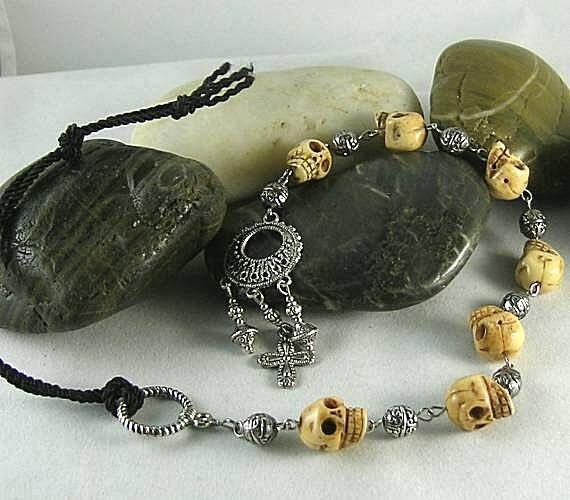 We could not find skulls that opened for our version, so we made it with 7 antiqued carved bone skull beads (12x10mm), alternating between 8 small (6mm) round metal beads. They are connected by metal links to a metal pendant meant to resemble the crescent shape on the original rosary. Hanging from the pendant are three smaller dangles (a cross and 2 other beads). A metal ring with a hanging cord is on the other end. It measures approx. 13" from top of the metal ring (not including the cord) to bottom of the small cross. NOTE: Because of the antiquing process, bone beads typically emit a smoked scent. To reduce the aroma, rub beads with a sheet of fabric softener. Sizes, shapes and colors may vary with handcrafted items.